72 Horizons is a photographic study of line, space, imagined landscapes, and the color blue. 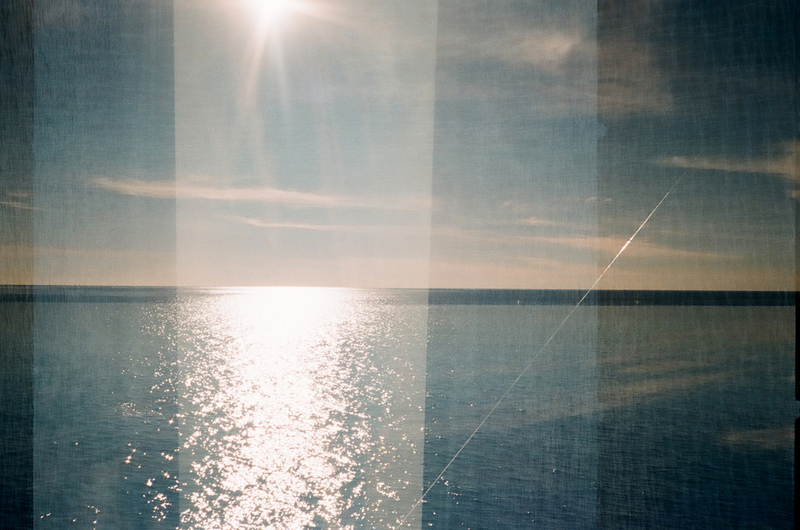 Each individual 4" x 2.5" 35mm film photograph has four distinct horizon lines that emerge while rotated vertically and horizontally. This work visually responds to artist Dara Rosenwasser's piece stories she told me (first image, right) as part of a collaboration at Studio 110 Projects.